Material: carbon steel 1,3 mm/ Inlay: leather inlay/ Max. 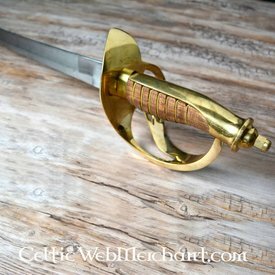 head circumference: 61 cm/ Based on historical original/ Shipping weight: 3 kg. 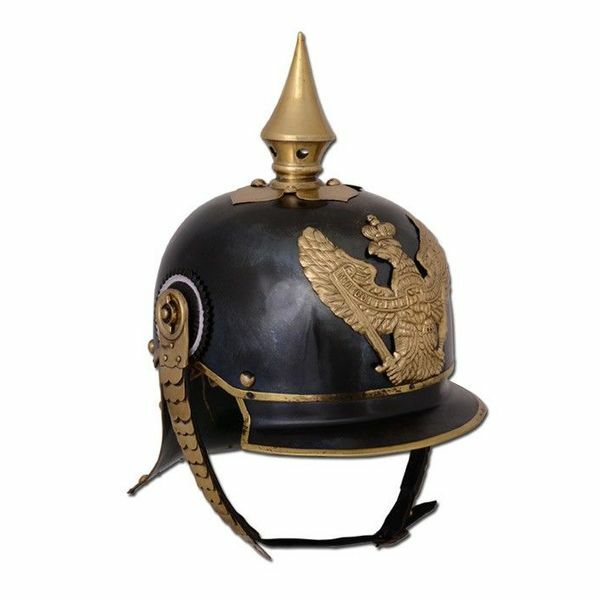 The Pickelhaube is a Prussian helmet that was designed in 1842 by Frederick William IV of Prussia. After his son, William, had become emperor of the German Empire, it was worn by the German militaries, firemen and police. 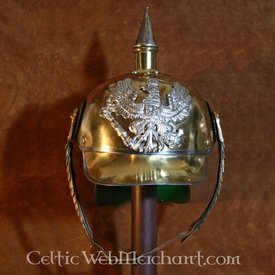 It has mostly become known as the German helmet of World War I. 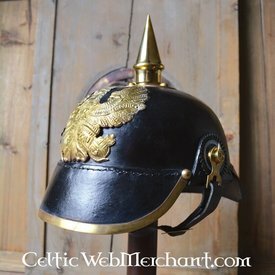 This pickelhaube is based on originals that were made from 1905 onwards. 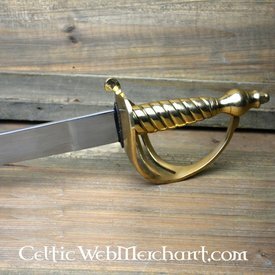 The helmet is made of bronzed steel and has a brass chin strap.